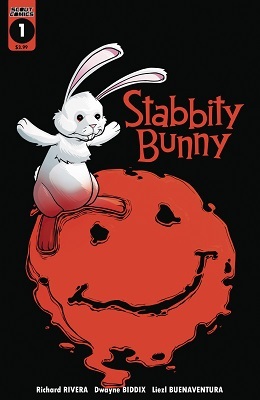 Stabbity Bunny no. 8 (2018 Series) . Grace and Amanda, shattered by previous events, seek answers from the ally mentioned by Ezra's ghost. 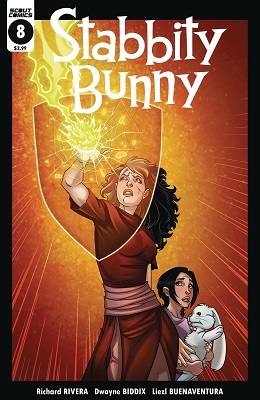 This leads directly to the Stabbity Bunny origin story! The events of a century ago changed the bunny forever and simultaneously extinguished Grace's family line. We also get a glimpse of a possible first and featuring the first appearance of the world of Shadow Play, leading into its own spin-off series in early 2019!